We have heard numerous times from close food confidants, Golden Boy on Green Street is where one goes for sicilian squares of pizza. It is true. Who can miss the neon sign and the sheets of pizza in the window waiting for folks to pass and salivate. There are hoards of inhibriated patrons late night Friday and Saturdays in North Beach. Waiting for slices. 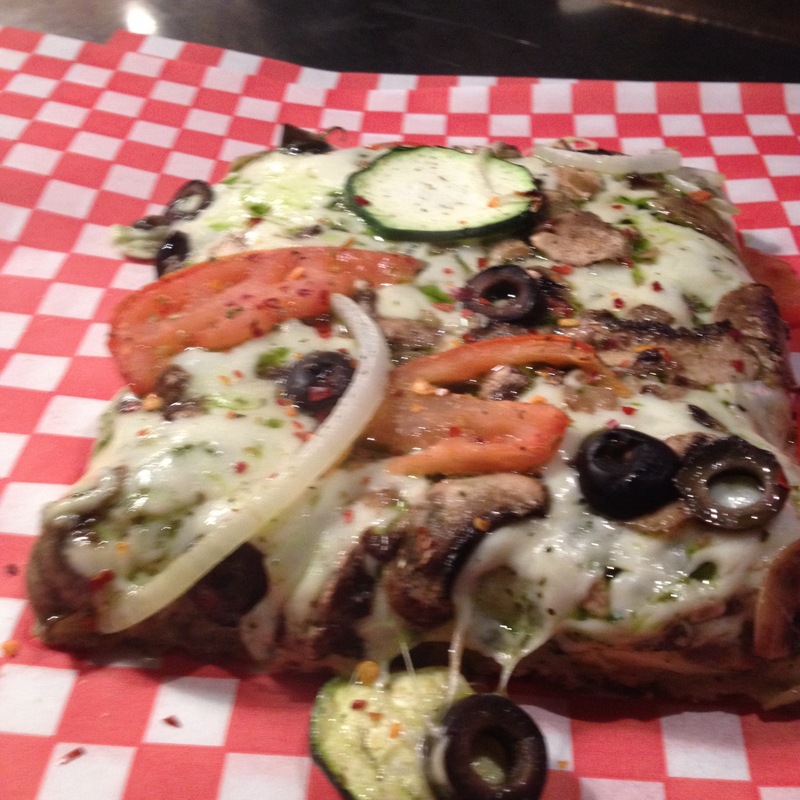 The Pesto vegetarian pizza ($3.75) with slivers of zucchini, mushrooms, tomatoes, olives, onions was integrated with the gooey cheese and thick crust. The wait was a good 15 minutes form the end of the line to enter inside. The corrugated tin ceiling, sticker lined wall, and old school menu was awesome. The combo slices for $3.75 has just awesome and we got an edge piece. 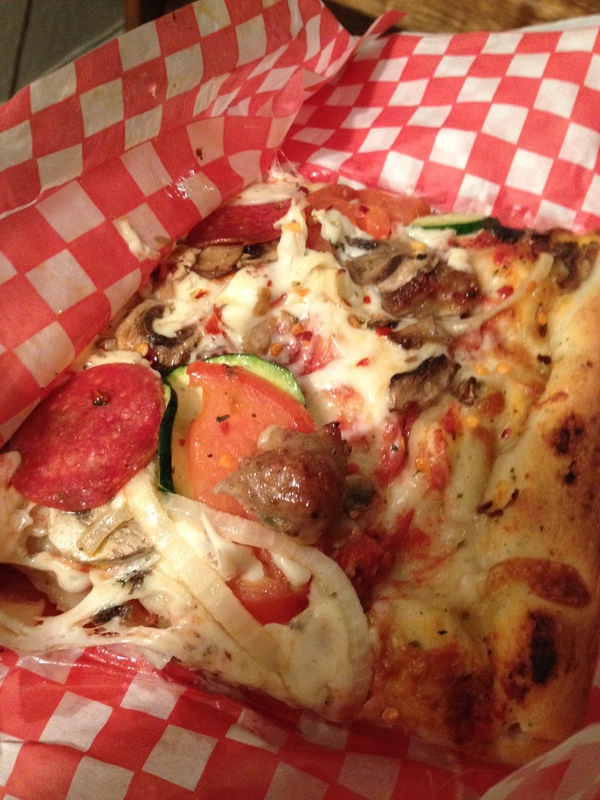 The pepperoni, mushroom, olives, zucchini tomatoes, on red sauce and gooey cheese was very filling. 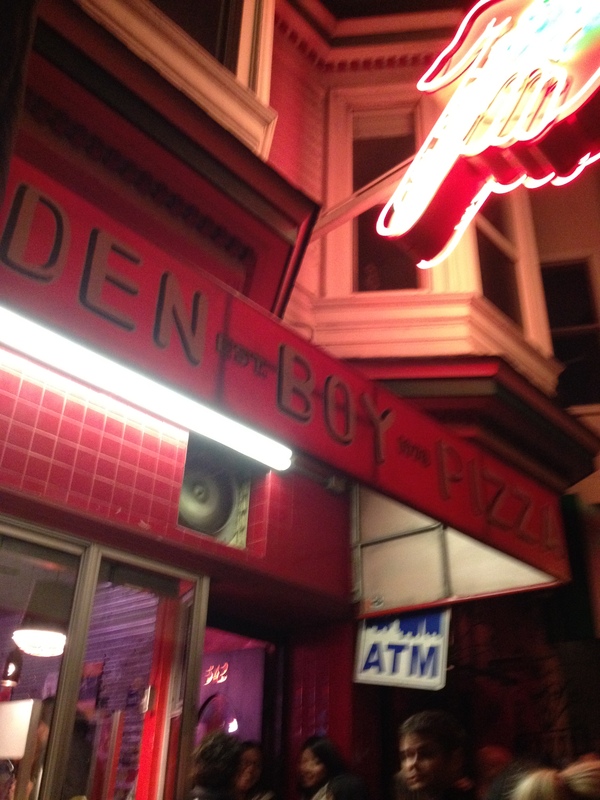 We bet Golden Boy would be as popular without the late hours and fortuitous location near the bars. 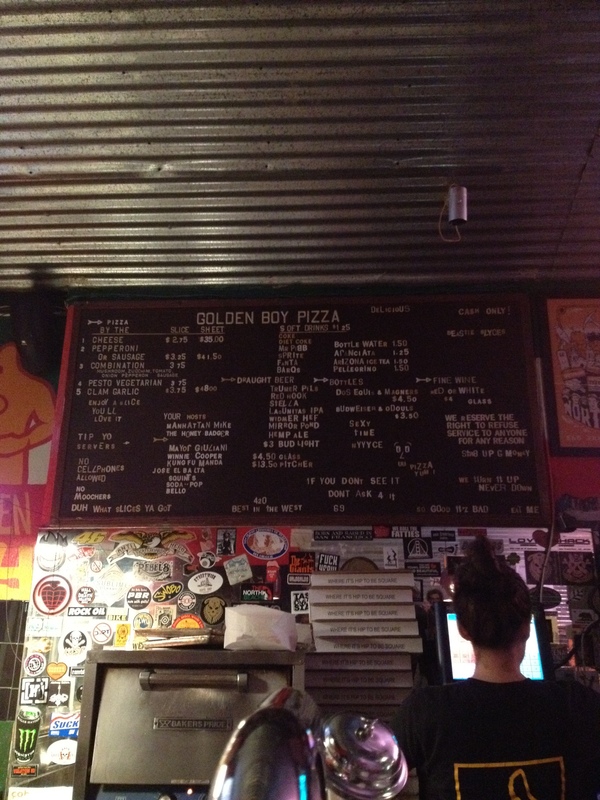 Our sources said Golden Boys is the only Sicilian pizza they would eat.